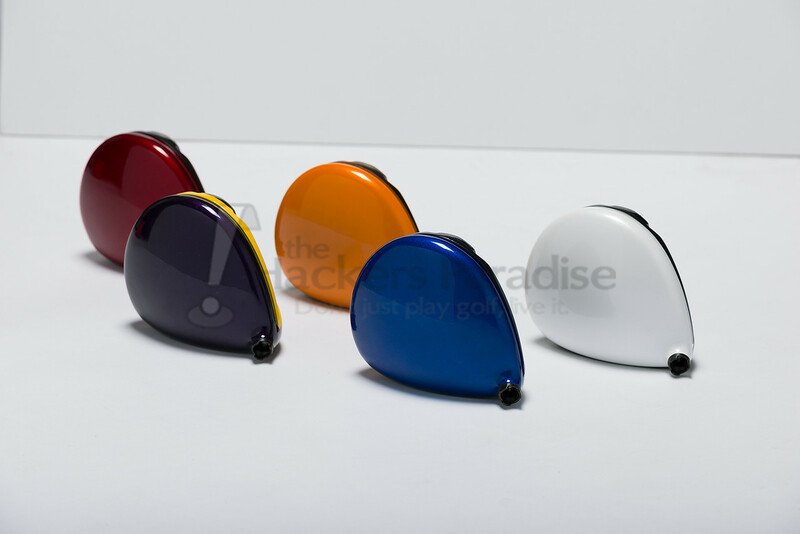 This year Callaway Golf brought adjustable to the public with their RAZR Fit driver and followed that up with something they called udesign, in which you could select some color options for your driver in certain spots including the sole. With the reviews that came in on the driver being one of the best of the year, THP was excited to find out what is coming next. While all the details about the club cannot be told as of yet, here is a preview of what the company is bringing with their udesign in the upcoming year. What are your thoughts on the new colors and club design? Join us in the THP Forum to discuss the latest udesign options coming from Callaway Golf in 2013. Love the new looks! Would have a tough time choosing between orange and blue. I might actually try out a white driver now! Finally color options from an OEM. I’ve been saying that for years. Just showed my daughter the blue. Close to her school color. And she love Cally drivers with their shallow faces. Awesome looking drivers. I can’t wait to hear all about the details of them. At first I didn’t like this. However the more I thought about it I realized it is a nice offering for those who like to have a unique setup. Customization is a great option to have from the OEM’s. That blue is HAWT!! Did I ever mention blue is my favorite color? Those look great! The color options are awesome and the design is very modern but classic. Very nice change!!! I can’t wait to see the rest. Custom colors are growing on me, maybe a cool THP green combo…..
Those look fantastic , and with Callaways reputation those will do well ! These are sweet! Like the blue. Look fantastic. Love the color! I think this year is going to be the year of the color drivers! Blue one here please! Sweet looking drivers, can’t wait to see more! Love the blue one….Get a gray shaft and a blue and white grip for a Dallas Cowboy driver..
oh man that blue one looks sick. Great lineup in general but the blue really jumped out at me. Gonna be interesting to see more on these! Love these. Blue is definitely my favorite, with the Purple and White not far behind. Looking forward to seeing what new tech is in this RAZR Fit. Is there a longer and straighter color? white done right! or maybe red. I’m with Kelly here, not so sure I like going with the colors based on previous marketing campaigns. I can respect the fact that they’re at least having fun and getting “hip” by doing this but it seems a little contradictory. Not a big fan of the colors but I’m sure some people out there will love them! 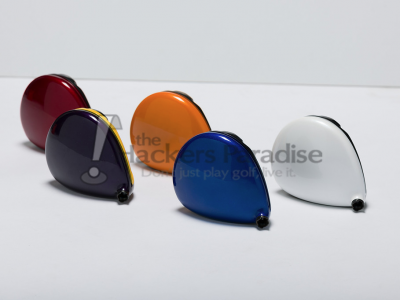 Colored drivers, interesting concept. You could support your favorite school or just have a crazy color to shock the guys.Callaway drivers work and that’s all the matters. Wow these look amazing! I want the blue one! I think offering white is brilliant. It really muddies the water for TM if there is more than one brand in white. The great thing for Callaway is that it’s not there doing, but the customer’s. I like the full customization it offers. You can really make the driver your own. Make that blue one with some gold accent…it might be hard to resist. Now that is sick. I’d go with the Blue or Orange. Maybe both together! Isn’t this the company who attacked TM with “Paint isn’t innovation”? Looks like they are totally throwing in the towel on drivers. Looks like marketing is taking a different road with the approach. I’d still go with the black.